The Bates kids love spending time with their nieces and nephews. Gil and Kelly Bates currently have eight grandchildren (two boys and six girls) with one on the way in November. With two potential Bates weddings coming up in the near future, that number will likely continue to grow each year. It would be nice if they adopted children. There are many kids in foster care that NEED good families. I agree, it is the right and Christian thing to do. Michael and Brandon may end up adopting. Kelly's mother adopted two girls around Zach and Michael's age. Michael seems close to her aunt who married a few months prior to her. Maybe growing up with adopted aunts has made the Bates kids more open to expanding their family through adoption. Fostering doesn't always lead to adoption since the goal of fostering is to reunite children with their birth parents. I agree though that foster kids need good homes and stability. Some of them have expressed the desire to adopt. Foster care children are not all up for adoption. The children who are available for adoption often need families with no other children in the home due to trauma related behaviors. It is not like the hollywood movies. I don't feel a newlywed or inexperienced couple would make good adoptive parents. These kids need loving, experienced parents and definitely not be part of a television family. Sometimes I wonder if that's God's calling for Brandon and Michaela. They'd be wonderful parents to a child in need. So many woman get pregnant after they adopt, the best of both worlds. Maybe they will, although Gil and Kelly are getting older and may just be getting ready for the grandparent stage of life. But since they had 19 kids I would assume that they’ll have some adopted grandkids at some time, and even some foster grandkids, and I bet they’ll be an amazing support system to have. I agree with the comments about fostering NOT being the same as adopting. I have friends who are foster parents and friends who are adoptive parents. VERY different. Both needed in modern society unfortunately but extremely different roles. 7:18 Telling a couple they’ll get pregnant after adopting a child suggests that adoption itself is not a happy way to grow their family, or that having a biological child is the ideal. I heard this many times througout both of our children's adoptions and it annoyed me greatly. In reality, there is no confimed correlation between adopting and subsequent "surprise" pregnancies. According to National Infertility Association (Resolve.org) studies show the rate for getting pregnant after adopting is the same for people who do not adopt. So now if your a Christian you shouldn't have children just adopt? Why can't they decide how they have children. Patricia, I don't see any comment saying Christians should only adopt. One poster wrote it would be the Christian thing to do to adopt and another explained that adoption does not lead to increased fertility. That said, the Bateses are no less Christian if the couples decide that adoption is not in their family plan. Patricia- I think it's reasonable to assume that Christians who oppose abortion under any circumstances would also whole-heartedly support the lives of unwanted children once they're brought into the world. It's called walking the talk. If abortion were to be criminalized as it once was, it stands to reason that there will be more babies born due to forced-birth policies. That means a very real potential for an increased number of children in need of foster or adoptive homes. Some of those kids will be older and abused. Unintended consequences are often times ignored by those who think they know best what is right for someone else. If Christians don't step up, who do you think should? Love his spikey hair! We used to do my little brothers like that. Good times. 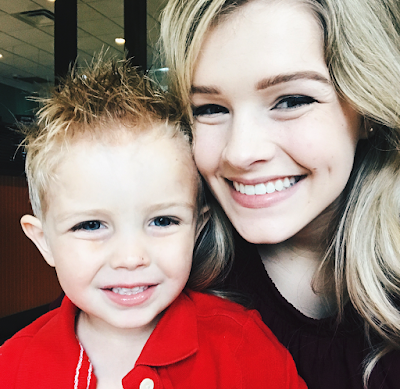 Josie is absolutely gorgeous and carson is a little cutie pie. Would the two possible weddings be Josie and Kelton and Carlin and Evan? Nice picture, she wil have a child soon. She’s not even engaged, why did you post a comment like this? 12:04 - There have been comments like 5:08's on previous posts. At this point, I think the commenter is trying to get a rise out of people. 10:01, you’re probably right, o don’t know why I bothered responding. Comments like that are so annoying. Whoa, Carson looks so much older and different! Erin your Carson, has turned out soooooooooooooooooooooooo OM cute, his eyes are amazing, what colour!!!!!!! Six Females!! That means more babies!! Well when they are at apporiate age of course! !